Here you can obtain details of the company, its current building program, brokerage list, refit work and latest news. The yard was set up by Geoff Willson Senior and Geoff Junior, and in the late 1960’s they built their first sailing dinghy’s. Later on in 1969 production commenced on the first Aquastar 19’, a 2 berth fisherman come day boat. The length of this is in fact the beam of the new 74' Aquastar! Over the last decade or so the latest Aquastar motor yachts have been fitted out to a very high specification, generally regarded as one of the top class finishes in bespoke boat building. 1972 saw production of the Aquastar 32’, There were 3 models, the fisherman, the aft cockpit cruiser and the aft cabin passage maker. This evolved into the 33 about 10 years later. 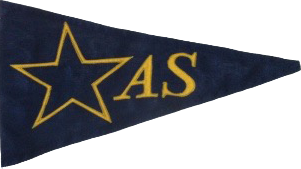 1975 brought out the Aquastar 27’, also in the 3 models as above. 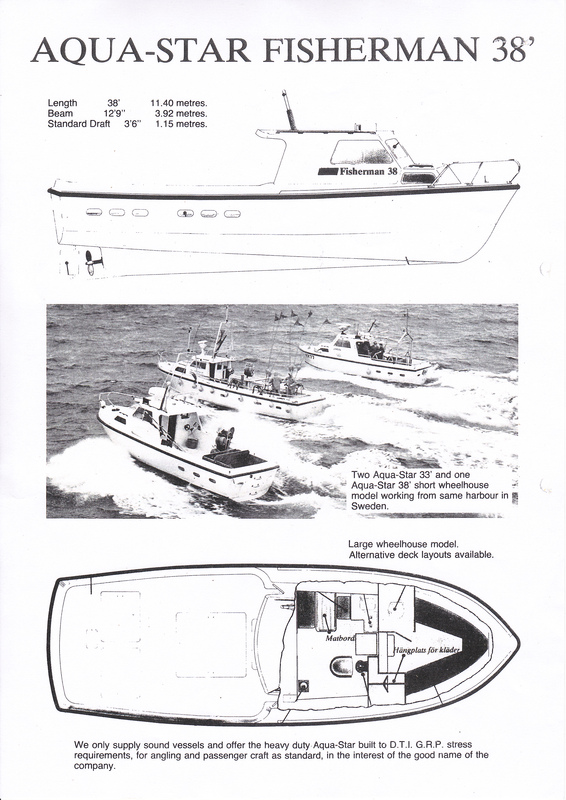 1976 saw development of the 38’ prototype aft cabin model. This was followed by the 38’ Fisherman. Many 38’ Fisherman and 32’ Fisherman were sold as kits to Sweden's Albin Marine, then one of Europes biggest production boat builders. 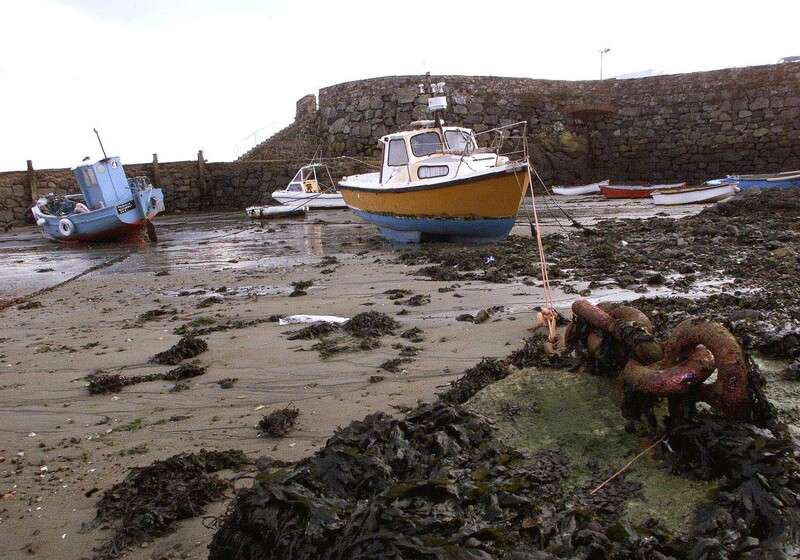 In 1976 In 1976 the boatyard was set up in Guernsey, and further models were developed such as the 40’ trawlers with 25 ton wet fish hold tanks. Also the larger 47’ models were built, many of which are still in use today. The mould for the Ocean 80’ was taken over in 1982 and a schooner rigged yacht, with a12 ton keel, was built. She is a charter boat and still in use today. Aquastar built many workboats and pilot boats over the next decade or so. By 2000, the Company was now concentrating on Motor Yachts and bought out the new Aquastar 74’, immediately winning the “Motor Boat of the Year” and for “Best Boat” in 2001. Working with interior designers “Ken Freivokh” and “Mark Tucker” of Design Unlimited, the yard is well used to customising the interiors to reflect owners requirements. 2013 the Aquastar 80’ motor yacht was launched, and then in 2014 the new 430 aft cabin and aft cockpit motor yacht with the new larger window design appeared. Aquastar was the first boatbuilder to offer as a standard option stabilizers to the Aquastar 48’-49’, something previously only fitted to boats over 70’. The Aquastar 49’ MKII was exhibited at the Jersey and Southampton 2016 boat shows. The next Aquastar 430 has joystick controls for engines and bow thrusters and has the latest Yanmar common rail engines fitted. The completion was also in 2016.